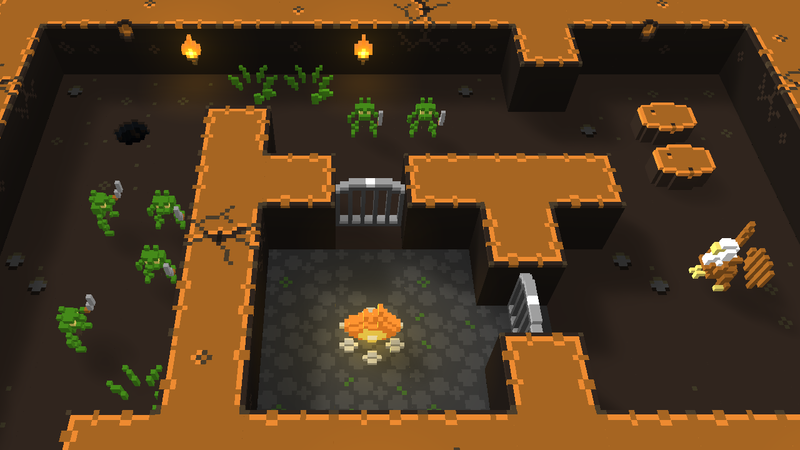 Hi everyone, just a quick post about some updates to Dungeon in my Pocket! I added 5 new maps to the game for you to explore, most of which are based on some of the Tiny Dungeon examples. The enemies in the game still don't do anything besides wander around aimlessly and items don't serve any purpose yet, but I will be remedying those things in future releases to make the game more challenging and interesting. In the current release, however, there are objects and NPCs scattered throughout the world that you can interact with. My next steps will probably involve looking into procedurally generated levels. Have fun! Added 5 new maps of varying sizes. Find and explore them all! Added a half second cooldown timer to prevent the player from attacking too quickly in succession. Mouse cursor will now be hidden if gamepad analog sticks are used (until the mouse is moved again).